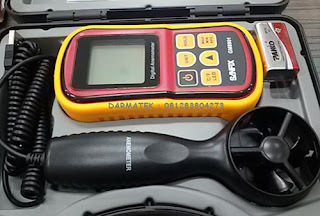 Darmatek is the official agent of the Sanfix Instrument brand which has the most and most complete stock in Indonesia and has sold various Instrument products, electrical, safety and security to various parts of Indonesia. Sanfix GM-8901 Anemometer products and other Sanfix Instrument products that we sell are 100% Original, 100% New and Low Prices. Sell Kyoritsu 3315 Insulation, etc.